Why didn’t they have books like Curious Creatable Creatures when I was young? I made a model of Frankenstein that just stood there (and would be worth a lot more now if I had never even opened it). Many of these twenty-two creatures light up, make music, and move! Two even spit! While your kids are having fun, they are also learning valuable math and science concepts from geometry, chemistry, earth science, electricity, and more. All of the instructions have a difficulty and cost rating. What’s nice is the most difficult, and awesome, projects are not always the most costly making this an ideal book for home schooling moms on a budget. 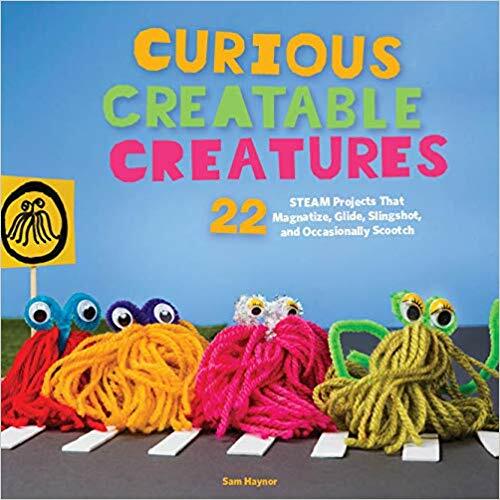 Curious Creatable Creatures is an ingenious and relatively inexpensive way to get your child into STEAM projects. Plus they will have fun doing it. There are simple projects involving yarn, pipe cleaners and googly eyes for younger primary graders with a parent’s help. There are more complex battery-powered creatures for older elementary age children. Overall, a good choice to see where your child’s interests lie. 4 stars! Thanks to Voyageur Press/Quarto Kids and NetGalley for a copy in exchange for my honest review. Snoopy: Boogie Down is a collection of veteran Peanuts strips marketed to the middle grades. It’s not just Snoopy. All the gang is here: Charlie Brown, Lucy, Sally, Peppermint Patty and even Snoopy’s brother Spike at the way from Needles. The comics were selected to appeal to the middle grades by emphasizing sports, school, summer camp and pets. Older adults may have to explain some of the celebrity references like Farrah Fawcett and even what the word “Boogie” means. However, even older readers will enjoy this trip down Memory Lane. 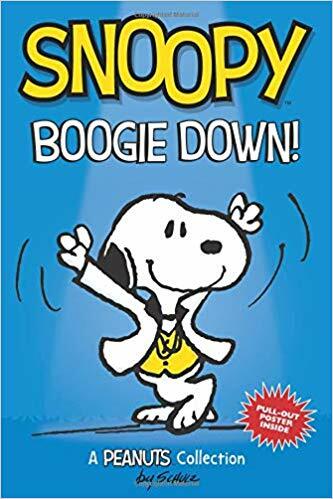 Snoopy: Boogie Down is recommended for anyone looking for a humorous reflection on life’s ironies. 4 stars! 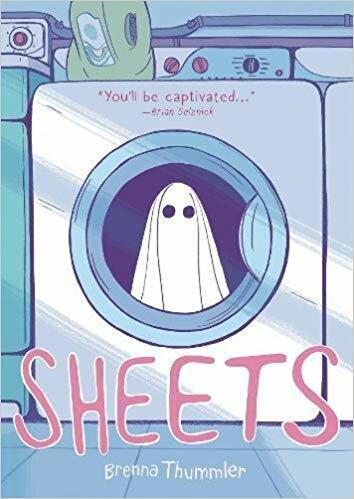 Sheets is a heartwarming graphic novel about the unusual friendship between a grieving girl and a lonely ghost boy. Marjorie’s mother is dead and her father is so depressed that he barely leaves his bedroom to eat. The family’s laundry is run before and after school by Marjorie. The mysterious Nigel is trying to convince Marjorie to give up the laundry’s lease so he can open a yoga studio and spa. In the meantime, Wendell lives in Ghost Town. At 11, he is having trouble making friends. He decides to ride a train out of town and ends up in Marjorie’s town. When they meet, their adventures begin. Sheets is perfect for young and middle school readers. The words are scarce and the pretty pastel pictures tell much of the story. The moral is nice and doesn’t seem forced. 3 stars. Thanks to the publisher, Lion Forge, and NetGalley for an advanced copy. 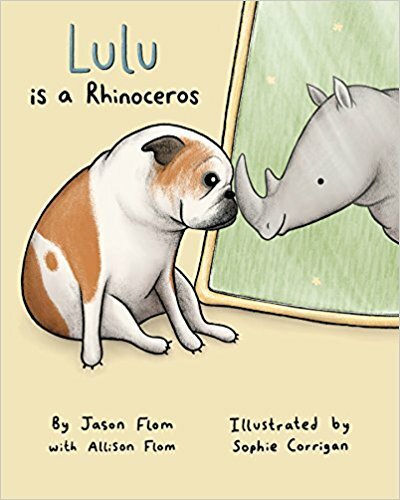 Cute, well-illustrated picture book that explains why Lulu is a Rhinoceros. Lulu looks like a bulldog to everyone but herself. She knows deep inside that she is a rhinoceros. To fix her lack of horn, Lulu tries on a banana peel and an upside-down ice cream cone. It is only when she meets a community that accepts her perception that she feels at home in her own skin. It is the perfect little picture book for our gender-fluid times. Lulu is a Rhinoceros would be a good way to introduce the idea that the way you look may not match how you feel. While this is labeled a middle-school reader, it seems for younger children. It is recommended for families, like mine, that include transgender members or for children who might have their own gender dysphoria issues. 4 stars! Thanks to the publisher, Wicked Cow Books, and NetGalley for an advanced copy. 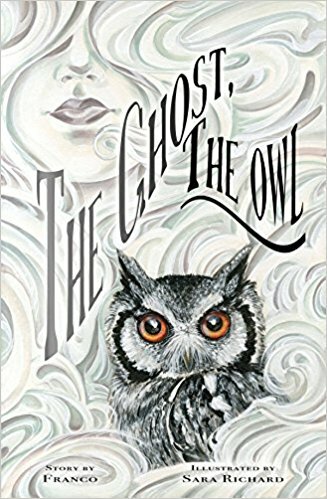 Despite being depressingly far from the suggested age for The Ghost the Owl, I loved this middle grade (ages 9-12) comic. The story was intriguing. The artwork is unusual but superb. It merges a picture book and a graphic novel into a surreal dream world of the afterlife. A girl wakes up in a swampy wood. She remembers nothing but that “people don’t voluntarily help others”. An owl explains that if she can understand his words, she must be a ghost. The owl tries to help the ghost girl find out how she arrived in the forest because a human had helped him previously. The Ghost the Owl shows the value of helping others subtly. It is recommended for ages 9 and up. 4 stars! Pre-released to comic shops on 5/2/18 and out everywhere on 5/15/18. Thanks to the publisher, Action Lab, for an advanced copy of this book. Poems about middle school threats with excellent illustrations. Carson Clare’s Trail Guide to Avoiding Death has poems about everyday fears like bullies and sharks along with less common ones like Australia, old people and cars. If tip above doesn’t work: OBEY ALL ROBOTS! You have to love a book when it depicts the expulsion of Adam and Eve from the garden of Eden as a “sweet lease deal rescission.” 4 stars! 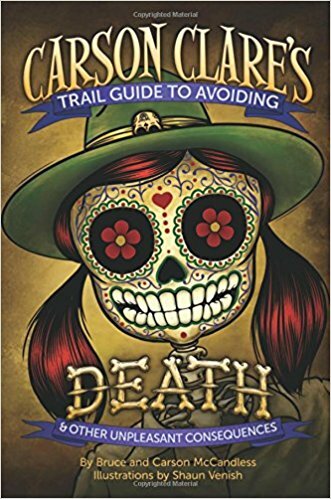 I can’t wait to see how the authors deal with my most prevalent fear, Algebra, in volume 2 of Carson Clare’s Trail Guide to Avoiding Death. Thanks to the authors, the independent publisher, Ninth Planet Press, and Goodreads for providing me a copy through the Goodreads giveaways program. 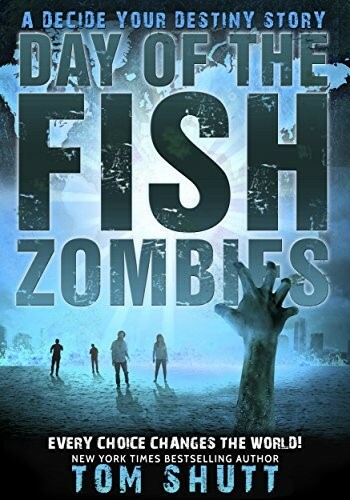 There is another book by this author reviewed here. Highly recommended adventure tale for tween girls. 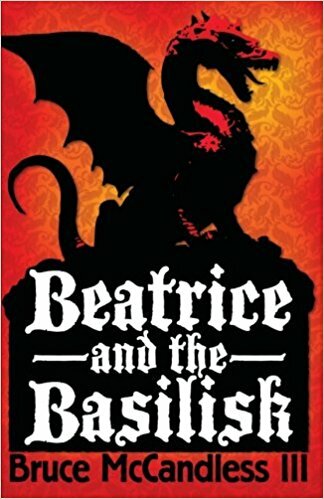 Beatrice and the Basilisk is an modern updating of an adventure tale. However, it seems so realistic that it could happen again tomorrow in your town. This book is perfect for tween or younger girls. While the heroine is 12, she acts more mature than most 12 year olds. There is another book by this author, which is reviewed here. The Real McCoys is a cute humorous mystery for middle grade readers with perfect artwork. Move over Encyclopedia Brown, Moxie McCoy is the new detective in town! Moxie is in fourth grade at Tiddlywhump Elementary School. She is also the sole remaining partner at M&M Inc. detective agency. Her partner, and best friend, Maude moved to California at the worst possible moment. Tiddlywhump’s mascot, Eddie the wise, and stuffed, owl is missing and only a great detective like Moxie can solve the crime. Moxie, who prefers to be called Slim when working a case, narrows down the list of suspects using the wisdom of Annabelle Adams. Annabelle is the star of 58 mystery books that Moxie has read 37 and a half times. Annabelle is obviously the long-lost cousin of Nancy Drew as she uses her wits and luck to get out of incredibly intricate situations. Moxie is also looking for a new detective partner and best friend before winter recess starts the following day. The illustrations in The Real McCoys are excellent. They are used to perfection to move the plot forward. Many adult mysteries would be improved with illustrations like these. Moxie and the other residents of the school are believable while also being funny. Does Principal Jones really have an eel pit in her closet where she dangles errant students? Does Moxie’s teacher, Mrs. Bunyan, have a weird fascination with teeth? While solving the mystery, many moral lessons are slipped in like don’t jump to conclusions and don’t be embarrassed to ask for help when it’s needed. The mystery is handled well with many twists and turns in the plot. The resolution is both unexpected and perfect. 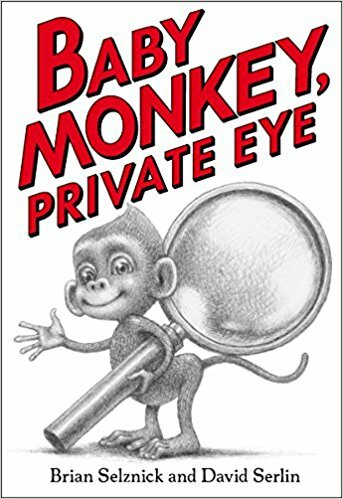 Overall, this humorous mystery is perfect for ages 8 to 12. 5 stars! 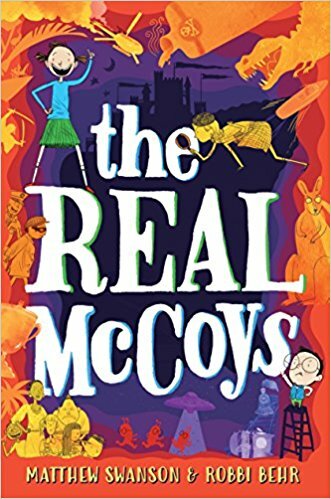 I received The Real McCoys in a Goodreads giveaway but that has not impacted my review. 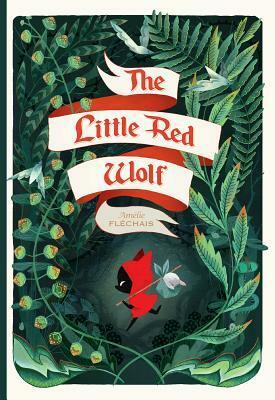 Beautiful illustrations and a intriguing twist on Little Red Riding Hood makes The Little Red Wolf a witty choice for older children. The Little Red Wolf is given a dead rabbit by his mother to take to his grandmother’s house. His mother warns him not to go near the evil humans, the hunter and his daughter. The Little Red Wolf is in a children’s picture book format rather than being a true graphic novel. The illustrations are gorgeous. However, the story is more for older children or even adults. The book is more fun when the reader is already familiar with the original Little Red Riding Hood story. There are many twists to the original tale that are much more innovative than just flipping the wolf and the child’s roles. I would recommend The Little Red Wolf to parents of children seven years old and up. I would highly recommend it to adults that like Fractured Fairytales from the Rocky & Bullwinkle show and the subsequent books. Thanks to the publisher, Lion Forge, and netgalley for an advanced review copy of The Little Red Wolf in exchange for an honest review. This book will be published on October 3, 2017. 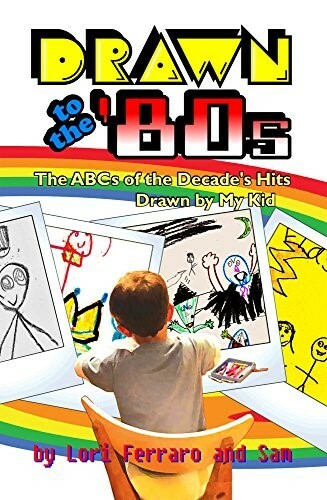 While this book is intended for pre-schoolers, this older reader who was alive in the 80’s also enjoyed it. I especially liked the fine art renderings of the original record covers within each letter. Awesome memories! Great Pictures, Nice Poster and an Informative Read. I read this book to my kindergarten age niece. She enjoyed the pictures and the story but I think this book is meant more for older elementary age children. However, I really enjoyed it myself. 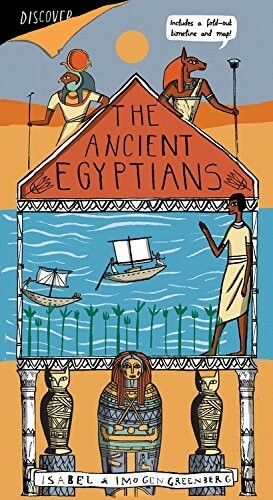 Despite taking both Western Civilizations and Art History courses in college, I still learned new things in this book. The poster with the map and timeline was a hit with both of us. This book reminded me of all the fun I used to have with the Choose Your Own Adventure books. The author obviously also has read a few himself because he knows that everyone tries multiple times to achieve the best ending. He has made it a game to try and find all eleven non-fatal endings. The Kindle links make beginning again easy. That process keeps the book fresh even after multiple reads. Awesome plot and interesting characters makes this a great choice for the young at heart. I received the ebook for free from the author but that did not impact my review.